“The Court applies the law, not common sense. Most English law is rooted in concepts from common law, including reasonableness and foreseeability, but divorce law dealing with money was set down by a 1973 statute. I was 4 at the time, my late mother was a housewife and my late father was the breadwinner. The mortgage was probably just in his name as wives did not count. Mum looked after the children and made Dad his tea. Society has changed but the statute is more or less the same. Today there is a debate about the fact the Supreme Court consists of 10 white men and one woman. The argument is that the higher judiciary is out of touch with society. 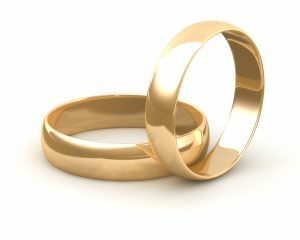 If you are in court about divorce you might feel baffled that your pre marriage worth is sacrificed to a concept called needs, when you entered the marriage committed to equality of life opportunity and believing your spouse could equally well stand up on his or her own two feet as you can. In some senses it is not just the court buildings that date back to the 60s and 70s; you run the risk that out dated attitudes will be applied to your marriage. Fortunately, the Supreme Court has approved pre nups unless the circumstances at divorce suggest they should not be applied. Individuals entering a pre nup are assumed to be adults and treated as such. Although it is essential the pre nup should be fair, it is your best chance if you must marry to ensure non matrimonial property, that is the worth you bring to the marriage your spouse has not contributed towards, should be retained by you if you divorce. Needs still must be met but your intended spouse can acknowledge by signing the pre nup that it is your equal efforts in the marriage that are to be shared, not what you and your family had beforehand. With all my worldly goods I thee endow ….except the schedule attached to our pre nup, we agree is fair, is surely worth getting advice upon at least. This article was added on Thursday, February 16th, 2017 at 12:58 pm and is categorised under Cheshire divorce solicitor, Divorce, divorce finances, Macclesfield News, northwich solicitors, prenups, Runcorn News, St Helens news, Warrington News, Widnes News, Winsford News. Both comments and pings are currently closed. Error: Error validating access token: Session has expired on Saturday, 09-Mar-19 13:12:58 PST. The current time is Thursday, 25-Apr-19 05:56:37 PDT.